If you have enjoyed this website or have any additions or corrections you may contact me at: David@Penmorfa.com. Please use the back button to return to the website. 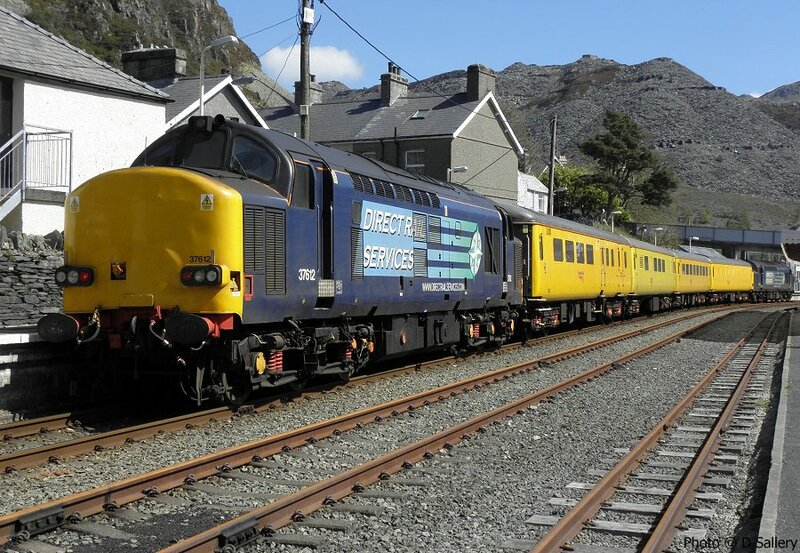 37612 on a Network Rail inspection train at Blaenau Ffestiniog, 18 April 2014. 37611 was on the other end of the train.